Sometimes the simplest things are best when you’re looking for something new to make. Simple palettes, simple stitches, and simple shapes. I’ve been in the mood to make a new multi-strand necklace in the same style as the chameleon pendant, with overlapped bead strands and beaded anchors. 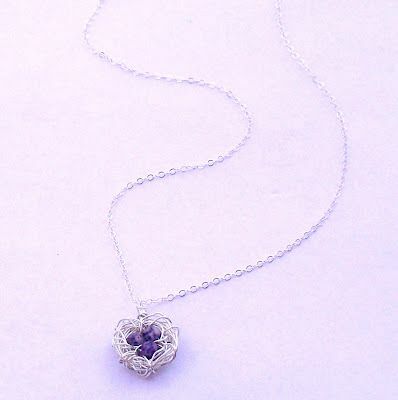 It wasn’t until I thought of making the multi-strand section with daisy chain that a real idea started to form. I’ve also been looking for an opportunity to use up some nearly finished bead colors, and I thought a combination of blue and orange would also make the perfect base for some new natural beads I had. I combined my seed bead selections with a large and uncomplicated sono wood pendant, and lovely, rich brown Rudraksha seed prayer beads from Happy Mango Beads. Although there are several different components that make up this necklace, they all stitched together quickly for a great instant gratification kind of piece. I’m especially thrilled with how well the Rudraksha beads look against the matte aqua druks - the contrast of colors and textures is gorgeous, and balanced by the round shapes. It was definitely fun to go back to classic daisy chain, and I wouldn’t hesitate to use it as part of a larger design again. This is one of those pieces that turned out exactly the way I pictured it - a little boho with a hint of cottage. 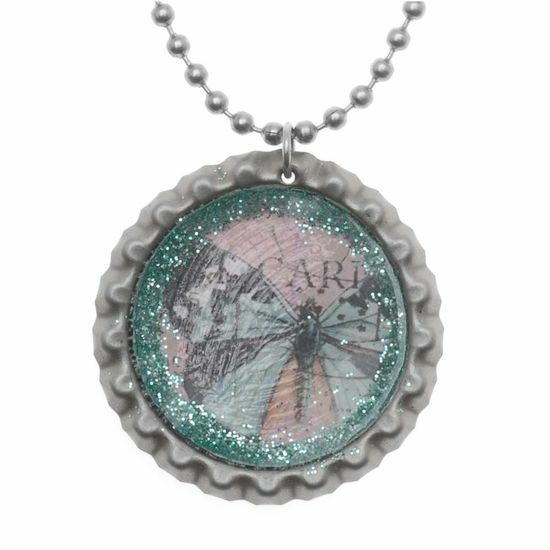 It's the kind of necklace you wear when you're reading Jane Austen outdoors. Do you have a favorite quick project or stitch? 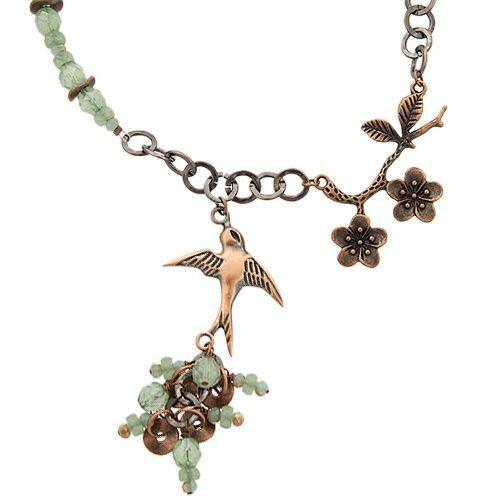 We all know that nature is one of the best places to look for jewelry inspiration, and within that broad range of ideas, there are worlds of possibilities. Insects are always a favorite, particularly butterflies. They are beautiful, delicate, brightly colored, and intricately patterned. 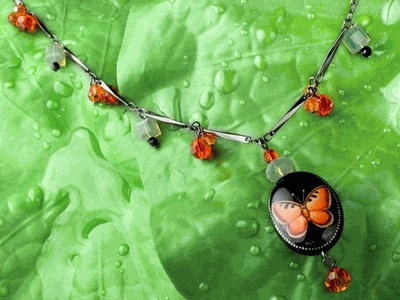 Nothing beats butterflies when you’re looking for spring and summer jewelry ideas. 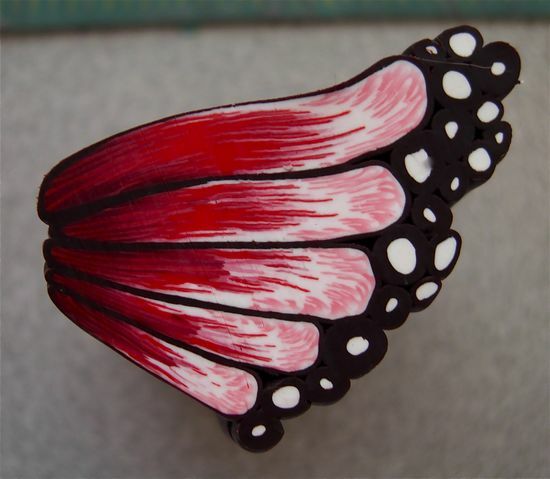 These tutorials and projects draw from the many aspects of butterflies that we love - the shape of the wings and the wonderful color palettes among them. 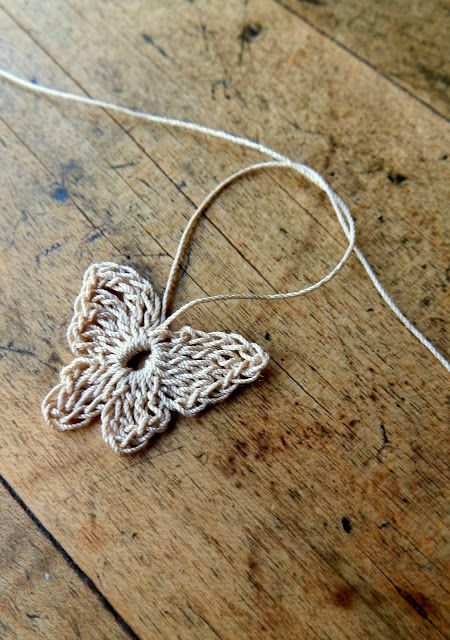 I can easily see this pretty butterfly as a pendant or brooch. Imagine it in teal blue! with lots of room for embellishment. 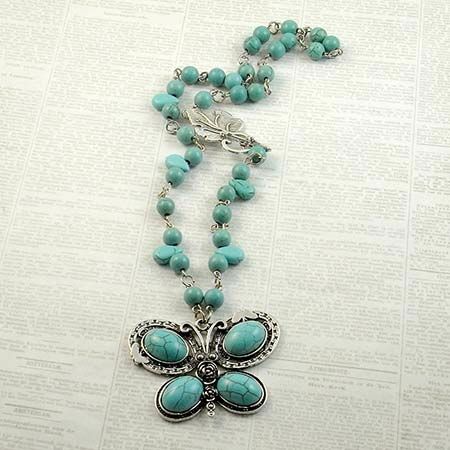 I love the way the natural patterns of turquoise work in this piece. or even a bold cuff. when you want something pretty and delicate. Nothing captures natural patterns quite like polymer clay canes. of butterflies, with sparkly crystal wings. for a very vintage look. but your favorite crystals or stones would fill in nicely! and accents with lots of movement. add their own flair to everything they make. This project shows you the basics! 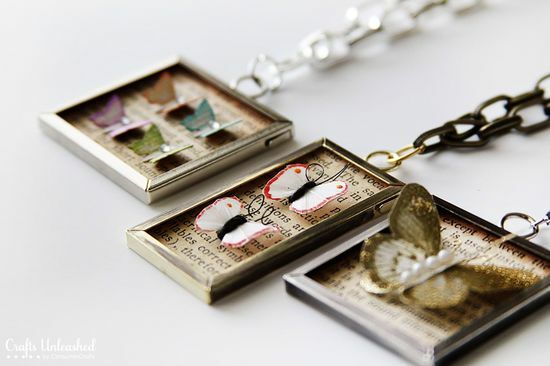 Do you have a favorite butterfly or insect for jewelry inspiration? One of my favorite things about choosing a niche for jewelry design, is being able to use my favorite techniques as often as I want. So when I’m faced with a new inspiration, I can turn to a style that I know will work, and focus on getting the essence of my inspiration, rather than on the major design details. To represent the Egyptian serpent god Apep, I needed a necklace style that could represent both snakes and chaos. A herringbone rope would be perfect for the base, and the right fringe would add the perfect element of fierceness. I knew right away that I wanted to include some vintage red white-hearts in this piece, so all I needed was the right palette to complement them. I decided on a combination of gold substitutes - transparent topaz, brown lined amber, and cream. Together, and with the right pattern, I thought these three colors would make for excellent snake skin, as well as provide a neutral background for the fiery red beads. I added an increase in a twisted herringbone rope to include some of the white hearts, but that wasn’t nearly enough color. So when it came time to add the fringe - with Czech glass ovals and freshwater pearls - I also added a handful of white-hearts to each strand. I love the way the uneven shapes look together in a stack above the accent beads, as well as the overall look of three bead sizes in the strands. They add a little extra something to the fringe that fits the lord of chaos perfectly. I’ll definitely be keeping these elements in mind for future designs. When you’re passionate about something, you tend to take it pretty seriously. If you eat, sleep, and breathe jewelry making, you probably want to make sure that you always have the best tools and materials, and that your techniques are the best they can be. 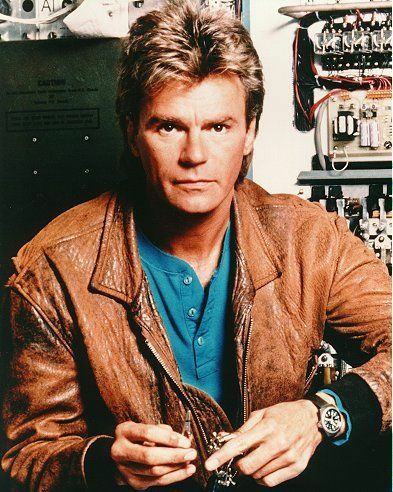 But when it comes to the little things, sometimes you really just need to go MacGyver to get the job done. These are some of my favorite little tricks for making a day at the workbench go smoothly. No matter what kind of needle you like to use, chances are that it will eventually be too bendy to use. Sometimes needles snap - if you’re fond of Cellini spiral this might happen to you a lot - and sometimes the eye will give out. It doesn’t happen very often, so saving up needle scraps for salvage isn’t exactly an appealing idea. You can’t just toss them into the trash, either - who knows where they’ll end up? To make a broken or otherwise useless needle safe for disposal, all you need is a few centimeters of clear tape. Use whatever you’ve got on hand to seal the sharp scraps in a little envelope of adhesive, and you won’t have to worry about it poking out of the trash or ending up in your vacuum cleaner. Whether you use Fireline or Nymo, sharp scissors are essential to prevent frayed threads, and give clean cuts when you’re trimming tails. If you’re like me - without the time or patience to visit a scissor sharpening service - you can freshen up your blades right at home in minutes, practically for free. All you need is a foot or so of aluminum foil from your kitchen drawer. Fold the sheet in half three or four times to get a thick sheet. Then snip it several times with your scissors, using a single cut (don’t saw right across the foil). Give the blades a quick rinse and dry, and they’ll be ready to cut threads clean again. The results don’t last as long as a professional sharpening, but the convenience is worth regular re-dos. I always use rechargeable batteries in my digital camera. They’re incredibly expensive, although they stand up to the demands of a digital camera really well and pay for themselves after only a few uses. I’ve only got the four that came with the charger, and I’m not ready to invest in any more. So when the second pair runs out of juice, my choices used to be borrow the batteries from the TV remote, or wait a day for mine to recharge. Fortunately, good batteries never really die! A few weeks ago I was right in the middle of a shoot when the batteries gave out. On a whim, I pulled out the cells and swapped them. Placing the batteries in opposite slots (in the appropriate +/- positions, of course) provided just enough power for 20 or 30 more photos, not to mention saving a lot of time. Do you have any quick fixes that you like to use to make beading easier? 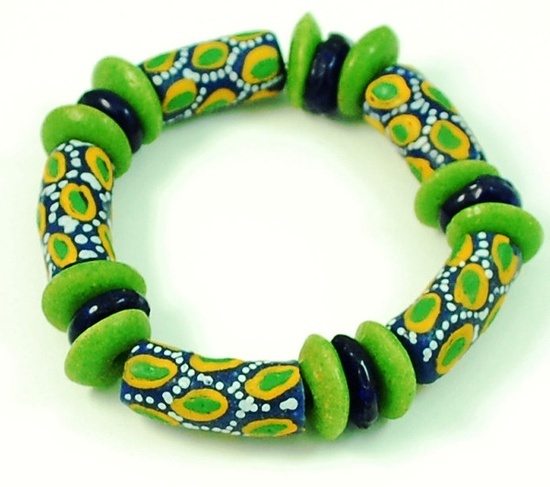 Handmade, exotic, and rare - there’s nothing quite like beads from Africa. The unique bead making process, sustainable and fair trade practices, and of course the gorgeous designs are impossible to resist. 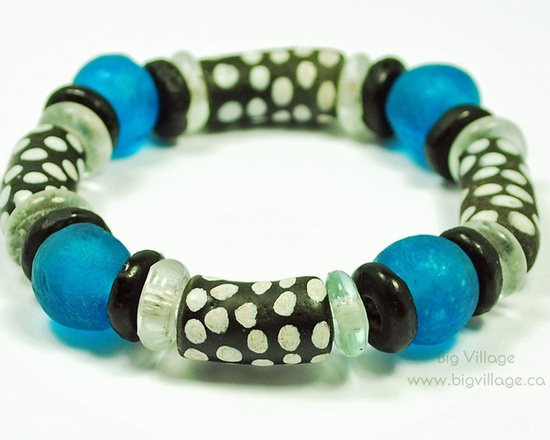 One company that embraces all of these things and shares the beauty of African beads with the world is Big Village. 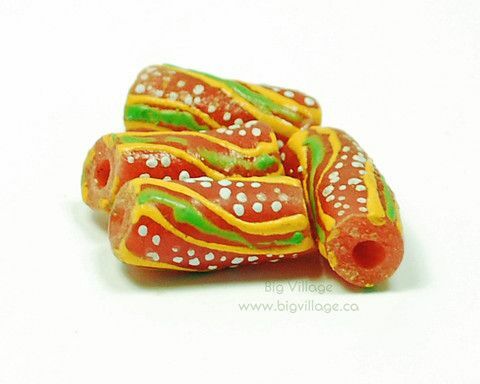 Based in Canada, Big Village distributes handmade beads from Ghana through their fair trade partnership, as well as African inspired jewelry, batik fabric designs, and more. 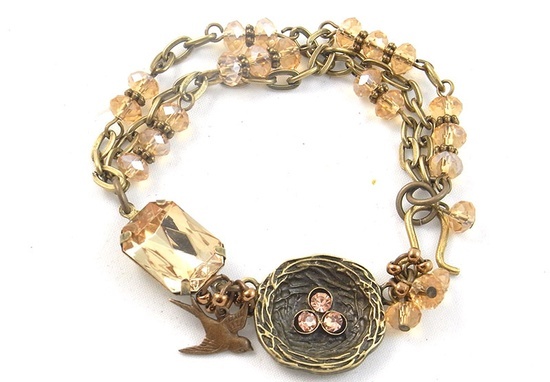 Today our guest is co-owner of Big Village and bead lover, Karen Berry. 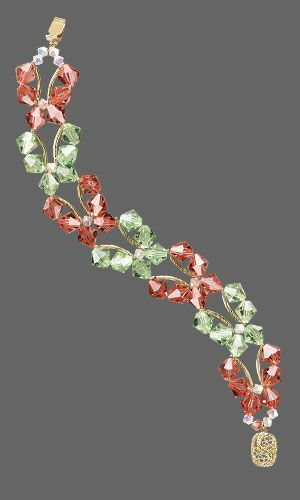 Inspirational Beading: How did you first get into beading and jewelry design? Karen: Growing up, I explored many crafts and hobbies but I have found that I enjoy working with beads and scrapbooking the most! In my early twenties, I bought my first beads and made simple hemp bracelets and necklaces for friends and family. It was a fun hobby and never thought that one day I might make a living from designing jewellery! I was educated and trained in Therapeutic Recreation and worked as a Recreation Manager in Long Term Care for close to 20 years. Through my experiences in Long Term Care and working with the elderly, I observed that those residents who kept busy with their hobbies and interests, were always happier and healthier than their sedentary counterparts. I have always believed it is important to keep your mind active and beading certainly does that! I became serious about beading and jewellery design about a year before I purchased Big Village; I was Big Village’s biggest customer! Inspirational Beading: Was purchasing Big Village a huge leap? How has it differed from your original expectations? Karen: I knew eventually one day I would own my own business but just wasn’t sure what it was going to be. I love working in Long Term Care but after almost 20 years of being in it, I needed a break. When the idea of purchasing Big Village first came up, it was perfect timing; like it was meant to be. I finished a one year maternity leave position with my former employer the month after I purchased Big Village. Knowing that my business partner and I were chosen out of 30 other candidates to carry Big Village forward, has given me the confidence to run a business and move it forward. During the months leading up to the purchase of the business, I envisioned myself playing with beads and making pretty things all day long. Sadly, this is not the case. Most days are spent answering emails, updating our social media, taking product photos, ordering products from Ghana, making new partnerships, researching products extensively, maintaining a website and online store. I have gone from working in a busy long term care home to working most days alone in my home office. I never thought I would crave the constant interruptions and policy changes a traditional office job has. I can easily be distracted by laundry, dirty floors and bathrooms or a comfy couch. However, I get to take my kids to school every day, stay home with them when they are sick, play hooky with my husband sometimes and make my own hours. It’s a pretty awesome trade off and I love being home! 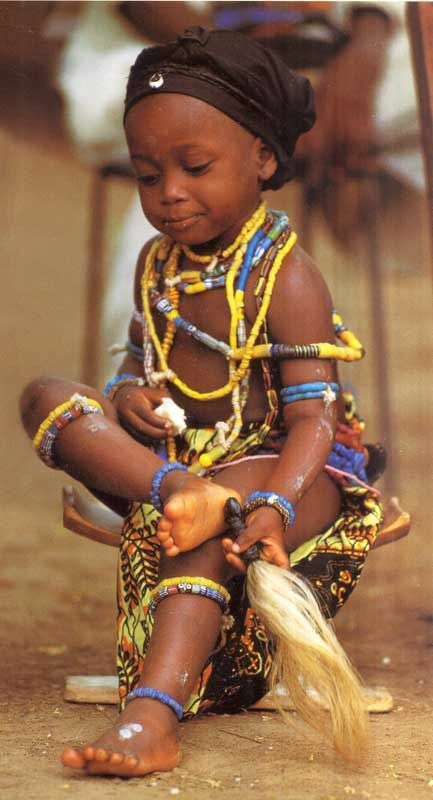 Inspirational Beading: What is your favorite part about working with bead makers in Ghana? Karen: I feel so grateful and privileged to have had the experiences I have had so far with Big Village and our bead partners in Ghana. I love knowing that we are helping make a positive and sustainable difference in the lives of not only our partners but their family, their employees, their employees’ families and the community in which they live. Knowing that our partners are succeeding, makes me unbelievably happy. And traveling to Ghana (and other African countries eventually), is pretty amazing too! Africa is one of those places that most of us dream of visiting and my dreams have come true. Doing business with Ghanaians has had its challenges but I am grateful for even the most difficult times we have had because I have learned so much about culture and the way people live and view business! 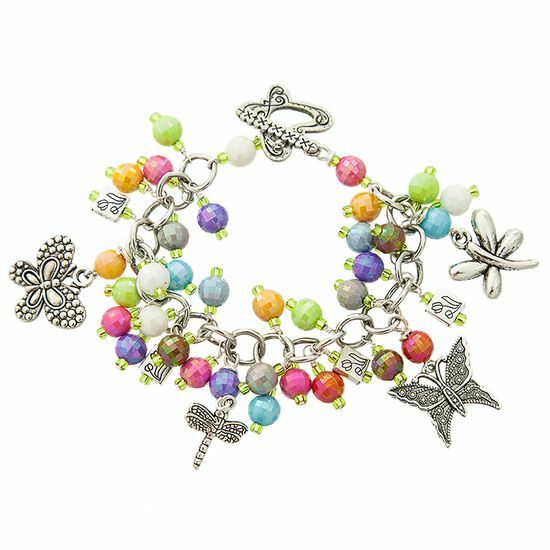 Inspirational Beading: Do you have a favorite color or bead style to work with? Karen: I love using bright, bold colours that reflect the Ghanaian culture as well as the simplicity of mixing black and white with teal or bright blue beads. 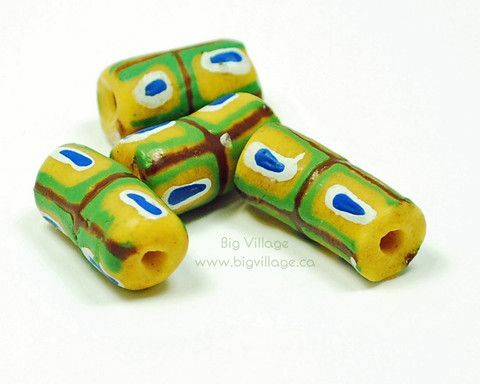 However, my favorite beads are the hand painted ones. When I work with them, I spend a lot of time appreciating each and every single one and all the work that goes into them. I love the designs the artists in Ghana paint on them and it still impresses me that each and every single bead is made by hand, from glass that was supposed to end up in a landfill. 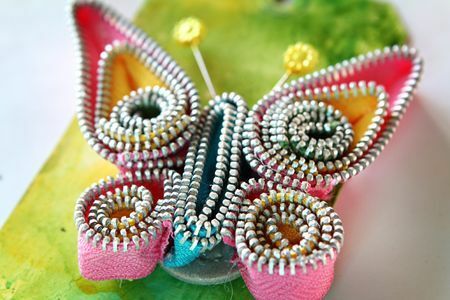 Inspirational Beading: What is your favorite project for using Krobo beads? Karen: I love making bracelets with the beads. They are fairly simple to make and very rewarding as they can be made fast! I love experimenting with different colours that I may not use in a necklace. My other favorite project is creating necklaces for our African inspired jewellery line. We use all sorts of African beads including our recycled glass ones but also Kazuri beads from Kenya, cow bone beads from Kenya, rolled paper beads from Uganda, Lost Wax beads from Ghana and most recently EarthButter Beads from South Africa. I love mixing all the different textures and sizes to create unique, one of a kind pieces. Karen: Our mandate at Big Village is to empower and educate consumers to make conscious purchases. This also goes for crafters and beaders alike. We want to inspire people to make informed choices about not only the day to day purchases that they make but also about the craft supplies they buy. We spend a great deal of time working with school aged children and teaching them about fair trade, ethically made products and slavery. I hope to inspire people to look at Africa in a different way. When we traveled to Ghana for the first time, I tried not to bring any judgements or stereotypes with me. After years of being told by the media that all of Africa is living in poverty, I happily experienced something completely different. There is joy and hope to be had and people work hard for their families. 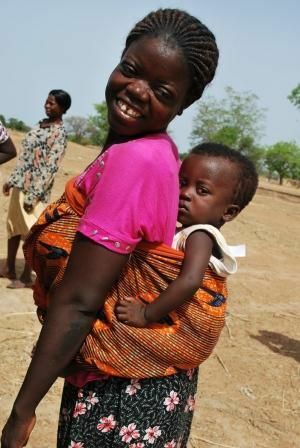 The people we met were so happy and full of optimism that I now have a different view of Ghana and Africa. I am not ignorant to the fact that poverty does exist but so do thriving, vibrant communities full of people wanting to create sustainability. 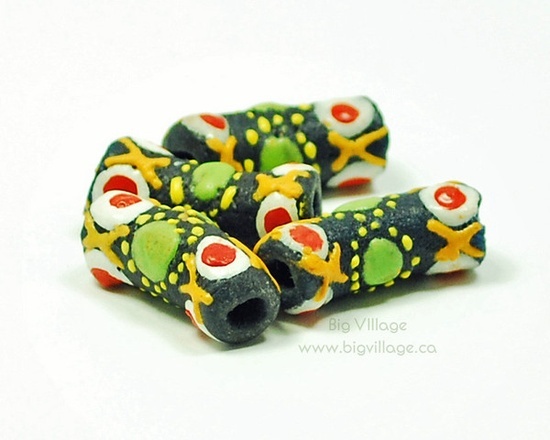 To learn more and to purchase some fabulous beads and fair trade products, visit the Big Village website. You can also get news and updates on the Big Village Facebook page, or find inspiration on their Pinterest boards. 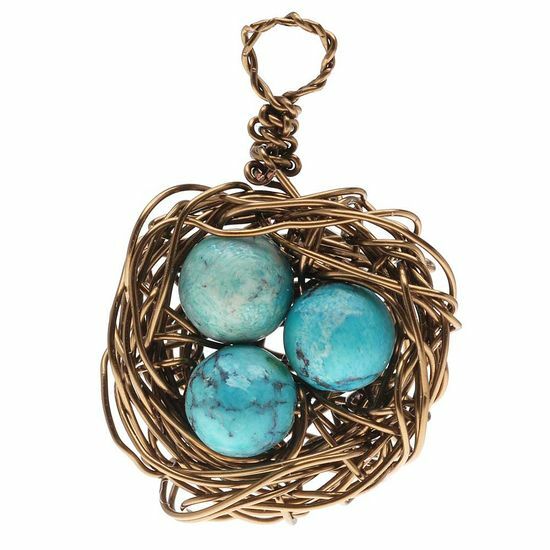 Perfect for spring, and ideal for Mother’s Day, there’s nothing quite like a beaded bird’s nest pendant. 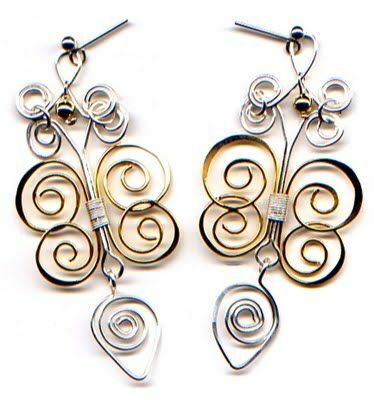 They are quite possibly the cutest things you can make with wire, and offer so many fun possibilities for personalizing jewelry. 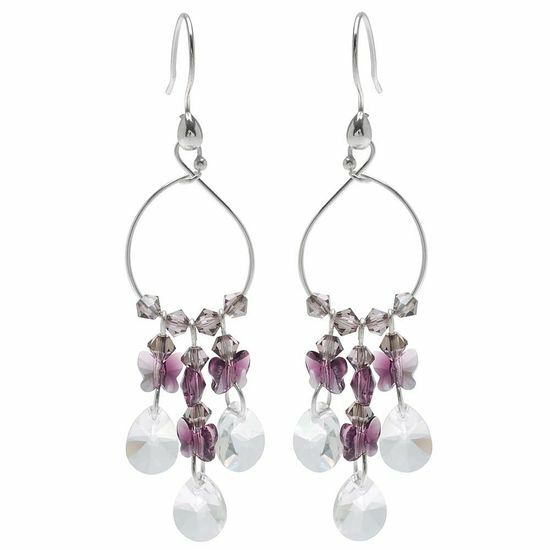 You can make them sentimental with Swarovski birthstones, pretty with pearls, and make realistic looking eggs with turquoise or Picasso finish glass. Although a pendant is the most obvious place to put a little nest of bead eggs, they’re also great for earrings or bracelet charms. 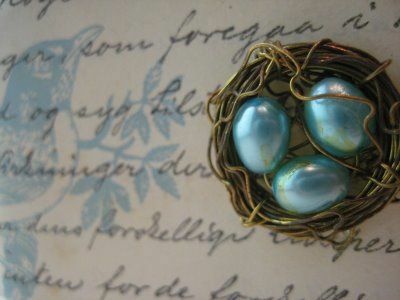 Larger versions of the wire wrapped bird’s nest can be made into brooches, and tiny nests make for sweet rings. 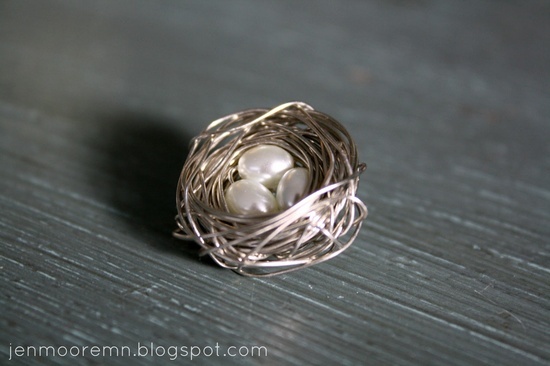 Here are some fantastic tutorials for making your own bird’s nest jewelry. by Cathe Holden at Just Something I Made. 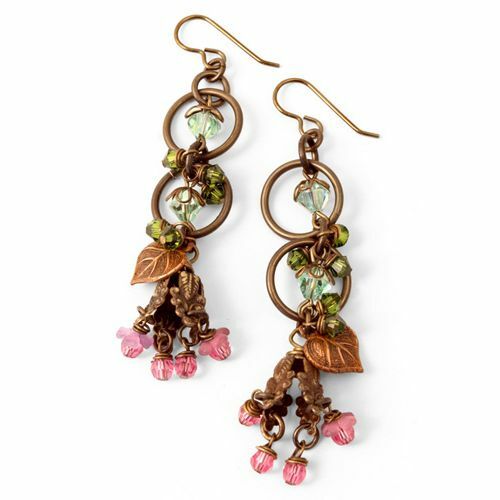 Even more fun, add a leaf for cute earrings in this tutorial from Artbeads.com. by Mrs. Micawber are made with crochet. This Lil Piglet lets the beads shine. in this tutorial from A Single Sunbeam. 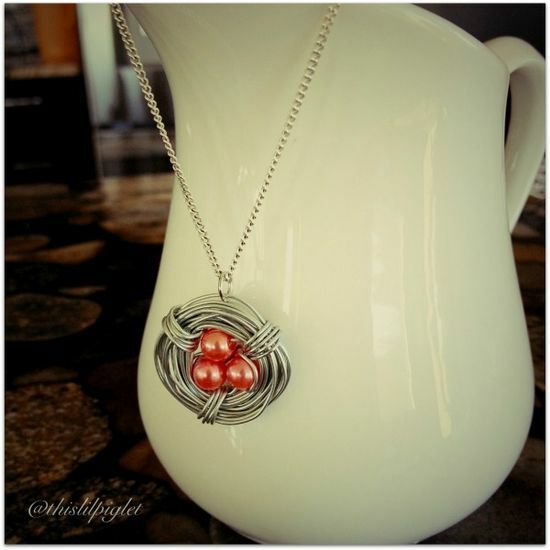 in this pendant project from The Wired Tree. 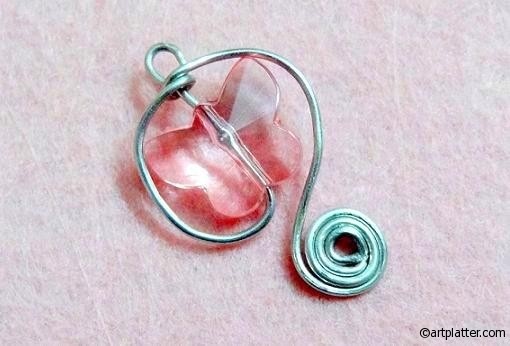 for embellishing a pendant with charms, chain, or ribbon. If you’re not into the simple pendant-and-chain look, or you want a little more challenge, these jewelry projects would make the perfect backdrop for a beaded bird’s nest or two. Precious Petals Vintaj Earrings by FusionBeads.com. 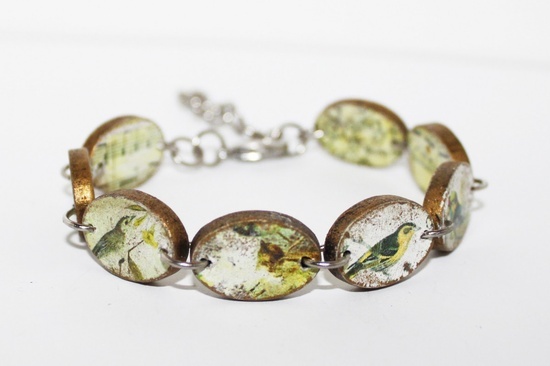 Decoupage Bird Bracelet Tutorial by Retro Cafe Art Gallery. 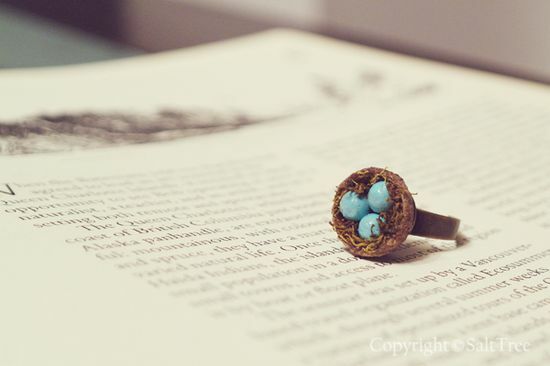 upcycled bird's nest ring tutorial by SaltTree. 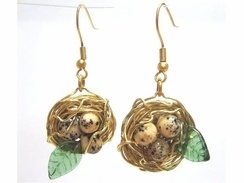 Have you tried the wire-wrapped bird's nest technique before? What’s your favorite type of bead to use in your nests? 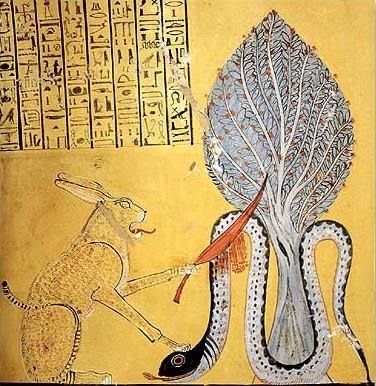 Although many of the lesser known Egyptian gods offer very little in the way of inspiration, some of them are instantly appealing. 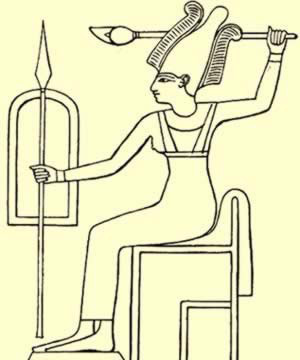 Anat was one of Egypt’s borrowed goddesses - a fierce warrior and wife of Set. I knew right away that only a collar would do for her, and it had to have daggers. I put together a palette of black, red, and dark topaz for the netting, and cut into my new strand of triangle daggers. It wasn’t until the beads were loose that I realized they’re actually double-drilled, but I was already committed. The color and shape are perfect for the spear-wielding goddess. I made this collar quite short, fitting close to the neck like armor. I love the shape of the fringe beads with this piece. The angular shape is a much better fit for the protector of the Pharaohs than a traditional dagger bead. You can’t have beautiful spring flowers without bugs. Any organic gardener will tell you that helpful insects are essential for a gorgeous, blooming flower bed. There are pest patrollers like lady bugs, soil tenders like worms, and of course the lovely pollinators - bees and butterflies. With both flowers and bugs in mind, I set out to find some beautiful lampwork beads for spring. I didn’t have to look far to find some really pretty designs with vibrant spring colors and curvy shapes. This set features a gorgeous floral lampwork pendant by Susan Sheehan. I love the cute black and yellow dot design, which reminds me of little bugs. a lovely orange and purple flower bead by Glass Elephant. Do you have a favorite insect? How does it inspire your beadwork?